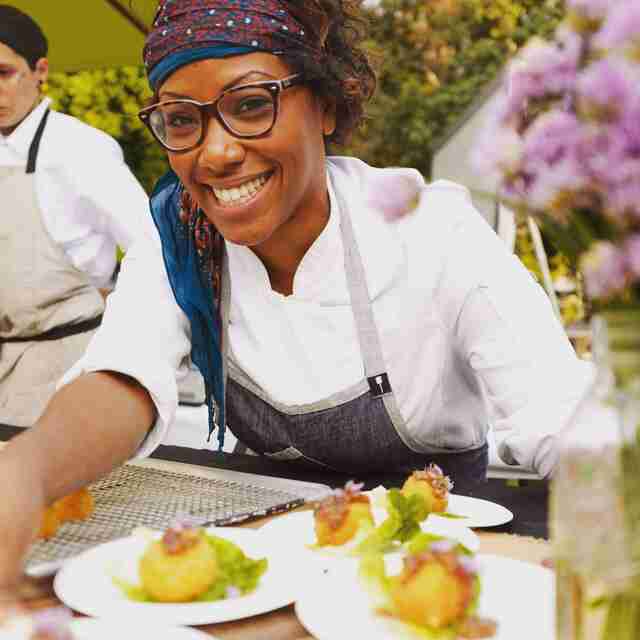 Chef Nyesha Arrington, whose resume includes cooking under legends like Joël Robuchon, was always cool and collected during her stint in Season 9, even when she packed her knives at the expense of teammate (and fellow Angeleno chef) Dakota Weiss. Luckily the rising star chef has redeemed herself big time with her new right-by-the-beach outpost Leona, which has amazing brunches (seriously, the kimchi potato pancake may be one of the best breakfast dishes in LA) as well as dinners featuring ultra-fresh seasonal goodness like black cod with mustard greens. On TCM, when he wasn’t cracking jokes and yelling at wait staff, the man best known for LA’s most notorious burgers was cooking up knockout dishes like chicken thigh Thai yellow curry with kaffir lime paired with Sofie beer -- a dish far closer to what you’ll find at Lukshon, which’s praised often for next-level Asian eats (also, Yoon’s white wine acumen is second to none). 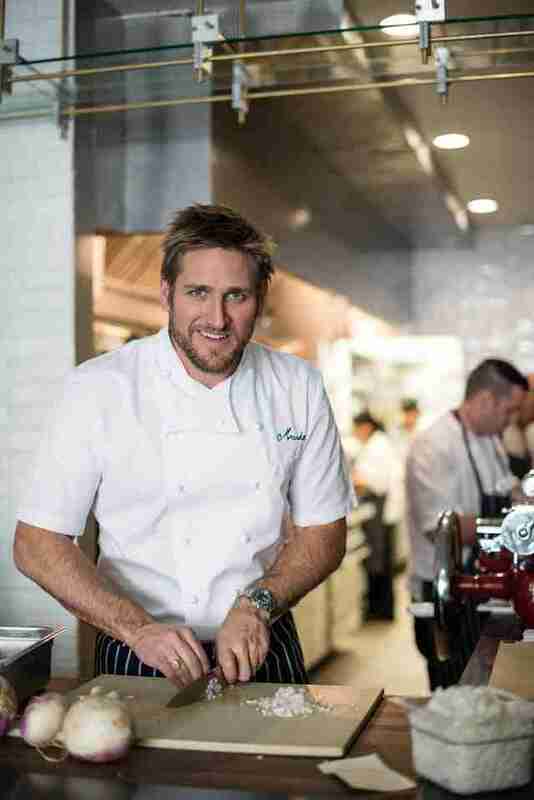 Fraser’s a Los Angeles native who got his start working for Wolfgang Puck but’s now a legend in his own right: his restaurant, Redbird might be one of the most beautiful spaces in all of Los Angeles. Built in the historic St. Vibiana Cathedral, the downtown space boasts a retractable ceiling, and a glowing, ultra-hip bar; you can grab the smoked wild boar and grilled lamb belly at either. Not in the mood to baller-down? 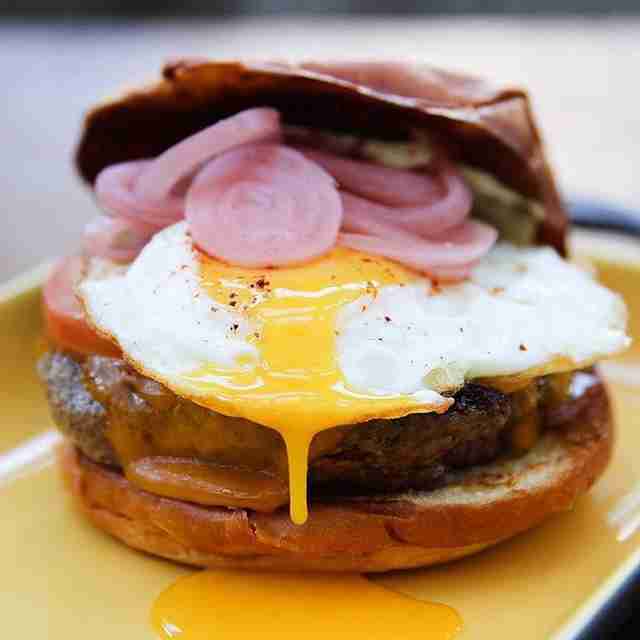 His new Arts District cafe, Fritzi, has killer burgers at lunch. 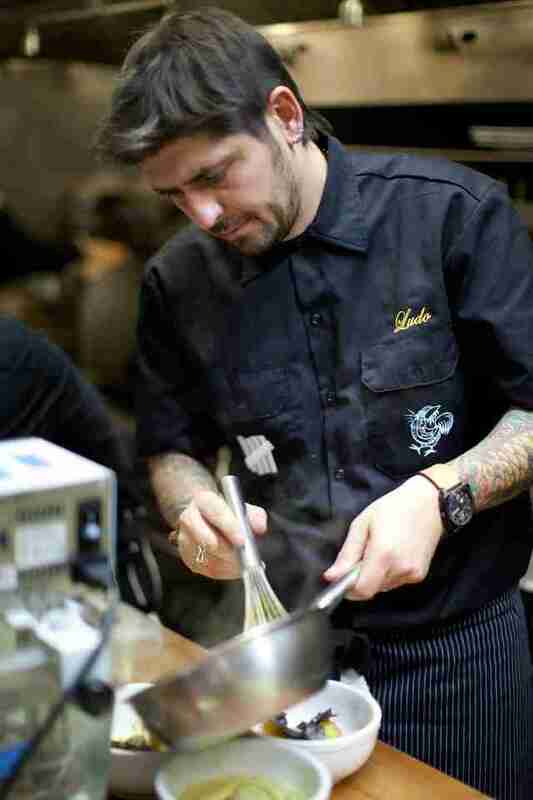 Budding star Chef Marcel Vigneron was known just as much for his eye rolls and arrogance as he was for his near perfect dishes with molecular gastronomic twists. 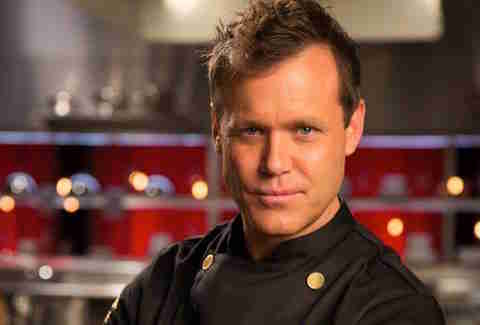 The season two runner-up has been somewhat of a man of mystery since competing on the show, announcing in March the opening of his Melrose restaurant WOLF. The cozy eatery filled with dark wood and flickering light serves up farm-to-table fare inspired by the many cultural intricacies Los Angeles has to offer. From the starters grab an order of the beets, with heaps of shaved fennel and chunks of yuzu. Be sure to also try the white miso black cod with dashi and wasabi greens. Then wash it all down with one of their handcrafted cocktails. 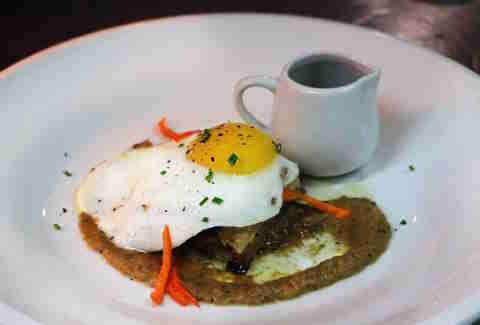 During his short run on TCM, the Spanish-born, Dominican-raised Chef Alex Eusebio focused on Latin cuisine by preparing dishes like an unusual eggs Benedict -- an arepa topped with fried quail eggs and guava crème fraiche. 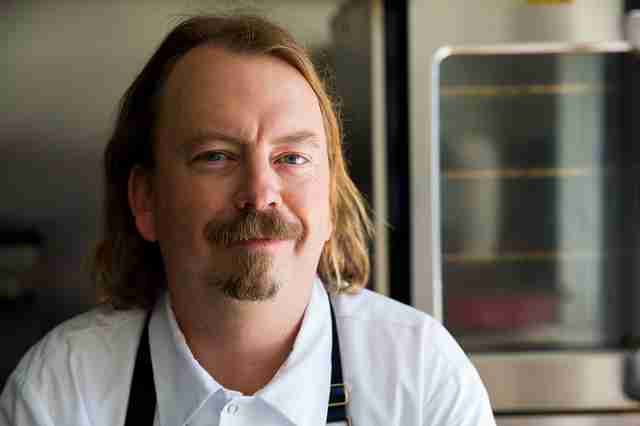 He was ultimately sent home for a botched on-camera appearance making creme brulee, but that didn’t stop him from serving some of the best sweets in LA at his restaurant and bakery, Sweetsalt Food Shop, including Meyer lemon cardamom cake and baked gruyere scones. OK, we got to hang out with the beloved Aussie one night, and guess what: dude’s as nice as he is talented and good looking, so, kinda we hate him. But not really, because Maude is definitely one of the best restaurants in LA: he highlights a different seasonal ingredient each month, meaning that each of 10 courses features a standout like artichoke or truffles -- yes, even the desserts. Michael Cimarusti is the chef-owner of perhaps LA’s most refined restaurant, Providence, where he made his name (and garnered two of LA’s extremely rare Michelin stars) with his fish-focused cuisine. 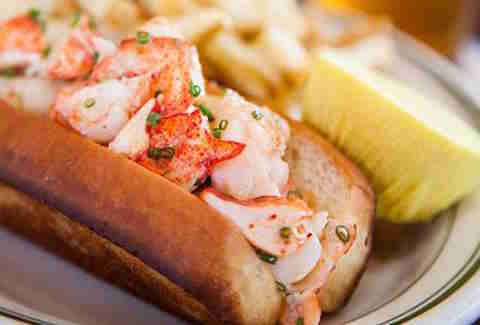 But his more-casual spot, Connie & Ted’s, named after his grandparents, (awww), has become equally popular: with carefully sourced seafood that is prepared simply, it’s as if the fisherman at heart scooped out a bucket of the sea and brought it to West Hollywood. And their brunch? Bonisimo. The Season 6 winner has become somewhat of a celebrity in the food world, with mentions in TV shows, to a star-studded clientele and a quickly expanding restaurant group/soon to be empire. 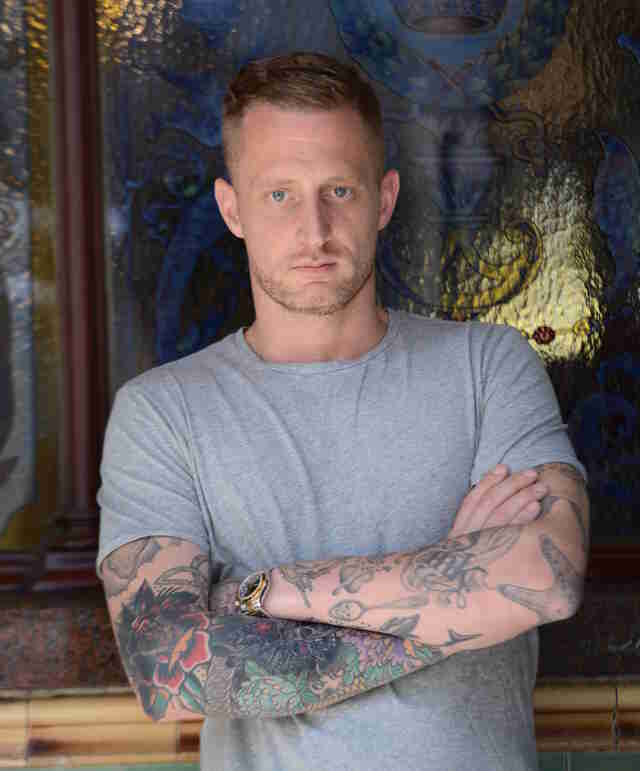 Voltaggio quietly opened ink.sack (now just called Sack Sandwiches) shortly after competing on Top Chef, serving his version of classic sandwiches; with a second just-opened outlet on Sunset, it’s clear he’s going for massive expansion going forward. 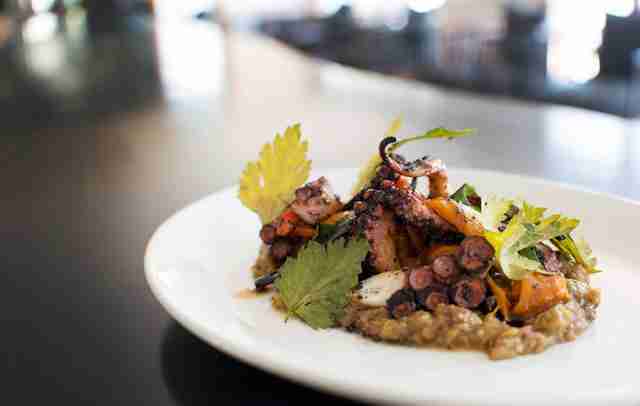 And his finer-dining spot, Ink., is one of the most forward-thinking restaurants in LA, with paprika-spiced octopus in it’s own ink and a Middle Eastern-style poutine just a couple of the many standout dishes. Fan favorite Ilan Hall beat out fierce competition in Season 2, taking home the title, and setting the bar for seasons to come. The then-24 year-old’s background cooking in Spanish kitchens allowed him to create top notch dishes for the show like lobster, shrimp & mushroom paella -- but his current focus in LA is totally left-field: dude’s doing vegan ramen. Seriously. 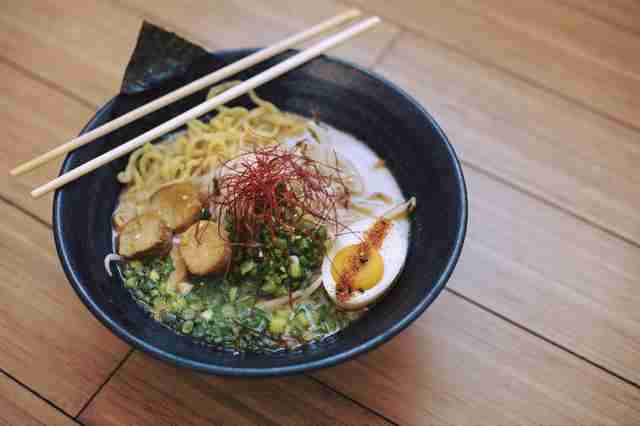 His recently opened ramen shop, Ramen Hood, fuses molecular gastronomy techniques with plenty of flavor, in hopes of educating eaters on how delicious vegan food can be. Using high-fat sunflower seeds as the base for his miso broth, it’s topped with bean sprouts, scallions, and king oyster mushrooms mimicking chashu pork slices, and a vegan egg made of vegetable protein and soymilk and the broccoli with soy chili glaze. Guess what? It’s glorious. Though it was the fiery chef’s missing tomatoes and upscale pig’s ear tacos that ultimately sent him home early on, Ludo Lefebvre has long been celebrated for opening two of LA’s most loved restaurants -- the tasting-menu-only Trois Mec and its Parisian next door neighbor Petit Trois. Ludo’s third endeavor, Trois Familia, is brunch-only comfort food in a Silver Lake strip mall, where diners can chow down hash brown chilaquiles, churro french toast, and chicken Milanesa with Maggi ranch. Watching Dakota Weiss in any episode of Season 9, it was easy to see that she’s a sensitive soul with a love of dangly earrings and black eyeliner, but her just-opened Estrella in West Hollywood is like hanging out at a low-key haute hippie gathering in the Hollywood Hills, or the expensive part of Venice, being served treats like ahi tuna niçoise and rose and pomegranate panna cotta... that’s what it feels like to dine at Estrella. The half indoor, half outdoor space gives off an atrium feel -- comfy seating, shrubbery, a vibrant brunch crowd, and dishes of honey, truffles, and fresh greens gliding by. Perched on couches eaters dig into signature dishes like “The Rolling Stone,” a bacon-wrapped avocado with an egg and queso fresco inside. Be sure to also get an order of Chai tea french toast (!!!) for the table. At Mexikosher, Tanabe gives kosher food more flavor than previously thought possible, allowing a community of eaters to enjoy the cuisine of Mexico, which LA holds so dear. Grab an order of nachos, tacos, or a burrito with the restaurant’s take on carnitas, which involves slow-cooked beef and duck confit. 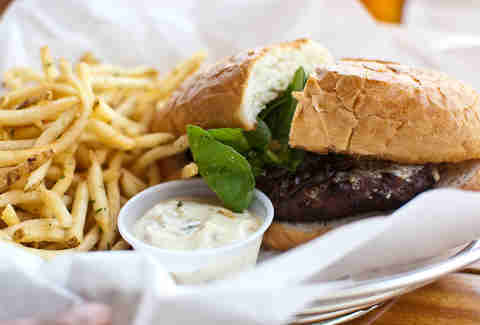 And the off-the-menu burgers, like the double patty Big Makosher, might be one of best-kept-secrets in LA. Always bringing positive vibes to the kitchen, Susan disappointed a picky bride in episode five, but she didn’t mind the loss. Her and Mary Sue Milliken's long standing restaurant Border Grill, cooks up insanely flavorful dishes inspired by the cuisines of Oaxaca and the Yucatan. Ceviches, Two Hot Tamales’ famous skirt steak and corn, tacos, and of course, homemade tamales, are served to their loyal fanbase. Her neighborhood spot, Mud Hen Tavern, serves updates on classics like chicken and waffles, disguised as croquettes, and meatballs made with lamb and served with yogurt and mint chimichurri -- and the dumplings from the separate-menu lunch window outside are among the best in town. CJ Jacobson, who was a big fan of Broccolini on the show, will always be remembered for being super tall, towering over the other contestants. His restaurant, Girasol, located on an unlikely stretch of Moorpark in Studio City, has become a neighborhood standby, thanks to carefully-thought out food that bests nearly everything else nearby. Jacobson -- who did a stint at internationally revered Copenhagen restaurant Noma -- is almost always around. 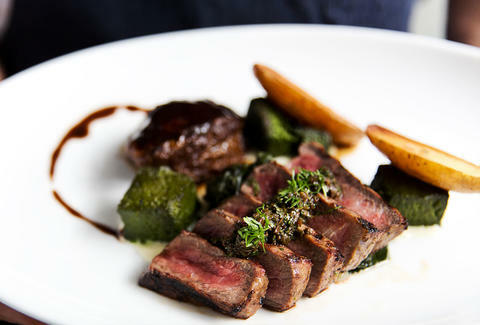 Ask him what's good, or just go right for the Wagyu steak grilled in pine needles. 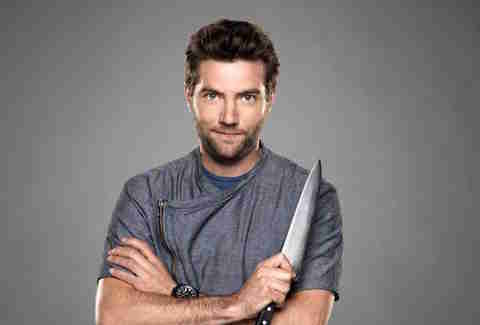 Brian Malarkey was known on the show for using, like, every single ingredient in the kitchen. Twice. Now open in Santa Monica, his flagship restaurant Herringbone is a San Diego-born-and-beloved, date-friendly seafoodery, where you can snag an outdoor seat, then order 1) the shareable (hahahaha, right), whole-fish ceviche, and 2) pork belly with wood-roasted sunchokes; the Ivory, his new restaurant at the Mondrian, is another fine example of his farm-to-table pedigree. If you recall, Alex took home a big win for a creamy pea puree... that was possibly stolen, (but probably not) (but maybe) (editing is everything). 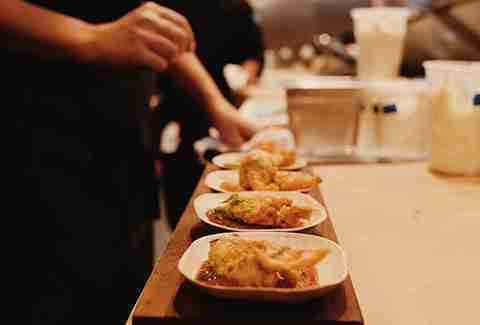 Reznik’s Ditmas, is an ode to Jewish eats in West LA that's heavy on communal tables and Brooklyn-y interior details. Grab a seat at the communal, talk to Alex, and realize there's no way he'd ever steal peaanything! Then order up duck confit matzo ball soup and salmon pastrami on an everything bagel. L'Chaim! All Antonia wanted during her time on Top Chef, was to be a REALLY GOOD example for her daughter/ being "The Black Hammer." Lofaso's behind the Italian menu at the stunning Venice osteria, Scopa, and the pub-grub at the Valley's standby, Black Market. You can't go wrong with any of the food at either spot, but you gotta make sure to get cocktails, too. Crazy-acclaimed bar-dudes Steve Livigni and Pablo Moix are her business partners/drink-makers at both spots. Brooke Williamson was a star on Season 10 of the show, straight-up killing it challenge after challenge, and then freezing in the finale. We totally knew her before she got famous! 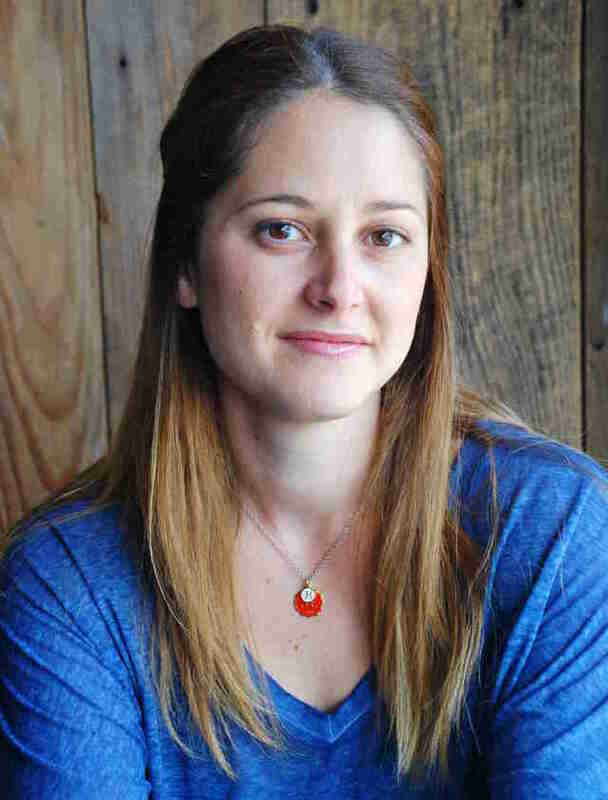 Check out this old Thrillist interview from her still-great Playa Del Rey gastropub, Tripel. That burger. And then that burger. And then beer. And then that burger. And also that burger. Burger. So Fabio Viviani wasn’t the easiest to understand. It would have been super helpful to have subtitles for him -- even when he was speaking English. 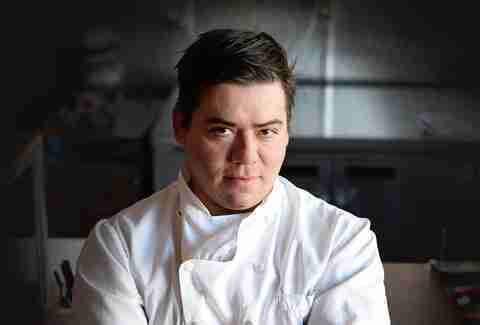 Viviani splits his time between NoHo's Firenze Osteria and Moorpark's Café Firenze, both of which focus on -- SURPRISE!! -- classic, home-style Italian food. Viviani is as likeable in person as he was on TV. He'll kiss your mama on the cheek, he'll pour your date's olive oil for her, and he'll talk you into ordering extra burrata, which makes total sense because, burrata is the best. 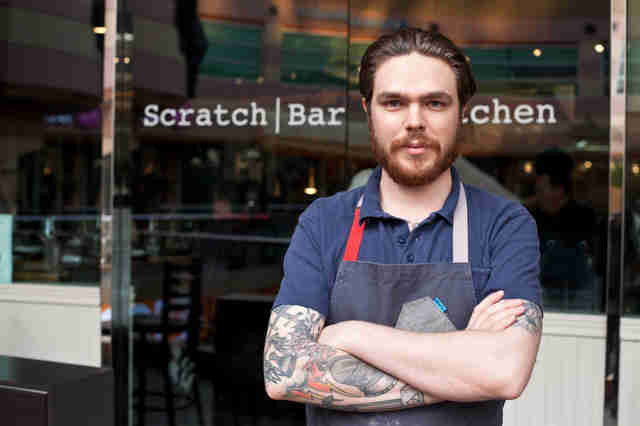 This accomplished young chef, who has yet to learn the art of the humble brag, owns two restaurants in LA, The Gadarene Swine and Scratch Bar, both of which have garnered plenty of positive praise thanks to menus that feel personable and well thought out. 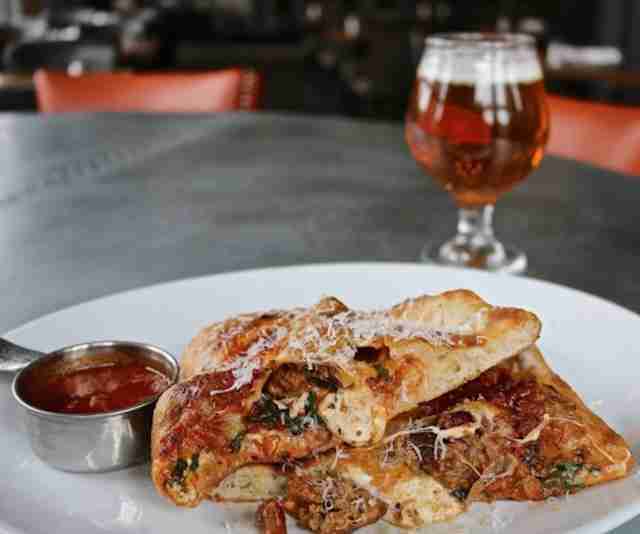 The Gadarene Swine’s Lee all veggie menu uses tricks of the trade to ensure diners never miss a meat -- although if you do, Scratch Bar serves up charcuterie plates paired with California vino. 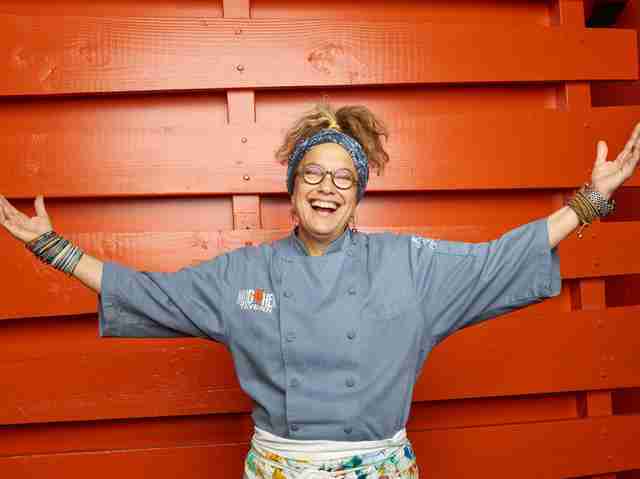 Being super pushy, and screaming at Marcel might be what Betty Fraser is best known for on the show, but in LA, she’s known for her Hollywood standby, Grub. 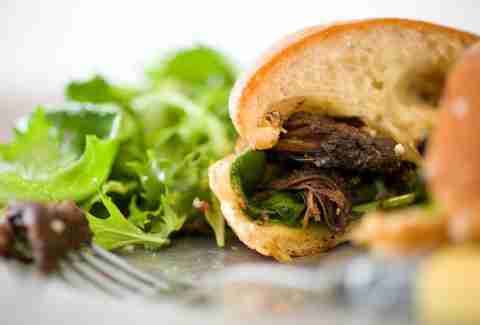 The restaurant is one of those great neighborhood spots, with award-winning breakfasts, and stellar sandwiches. Get literally any egg dish and you're good to go; for lunch, the tuna melt's ridiculous; and at dinner, they've got a drippy poutine and a secret-ingredient-filled bacon burger.